Below are some sample Tweets and Facebook posts to help guide your conversations. Here are some examples of tweets you can use to share your support for PHTYD! Click here for more PHTYD tweets for the week leading up to November 19. 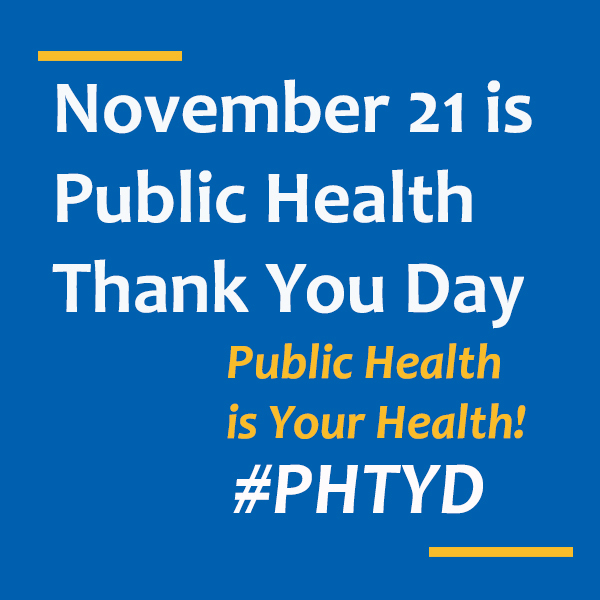 Here are some examples of Facebook posts you can use to share your support for PHTYD! It’s #PHTYD! Give thanks to the local public health professionals who strive to keep you and your family, friends, and pets healthy in body and mind. Give your hero a thank you certificate! Download an editable certificate template. Submitting a letter to the editor can be a way to publicly thank public health professionals in your local media outlet. Tailor the LTE to your state or public health organization. Download the template in an editable Word document. Here are some tips on writing an LTE. This Thanksgiving week, let’s thank our <INSERT NAME OF STATE/CITY> public health professionals who are committed to overcoming challenges and finding solutions to protect the health of all Americans. They dedicate their time and energy to combat public health crises such as the opioid epidemic and other health threats. These heroes keep our children safe from infectious disease by developing and disseminating vaccines, promote mental health for our veterans and community, and help prevent injuries, among many other efforts! 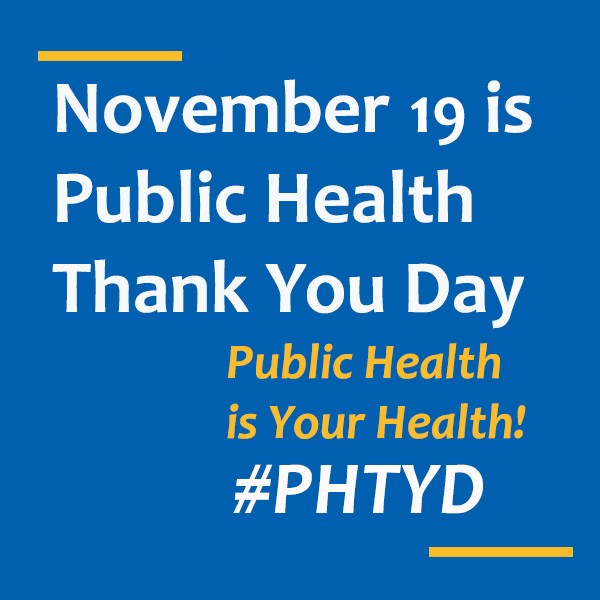 To learn more, please visit publichealththankyouday.org. Tailor the press release to your state or public health organization. Download the template in an editable Word document.